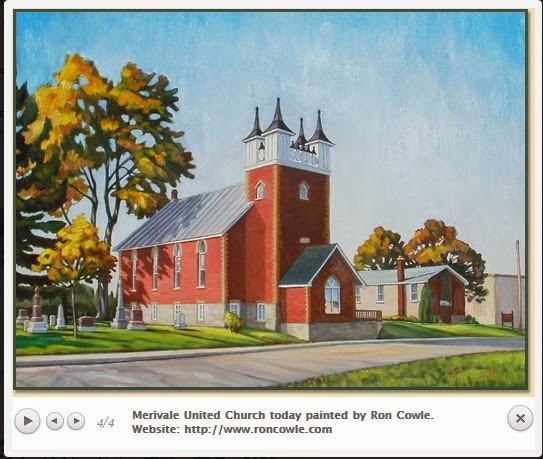 Jubilee Canadian Reformed Church has been renting Merivale United Church since 1979. The church, now a heritage building, has an interesting history. The present structure was built in 1876, only nine years after Confederation, when there was not much in the Merivale area, then called "Hopper's Settlement." Although it is a small building, originally it had a commanding presence. An interesting little note is that it was given the address of 1876, the same as the year in which it was built. 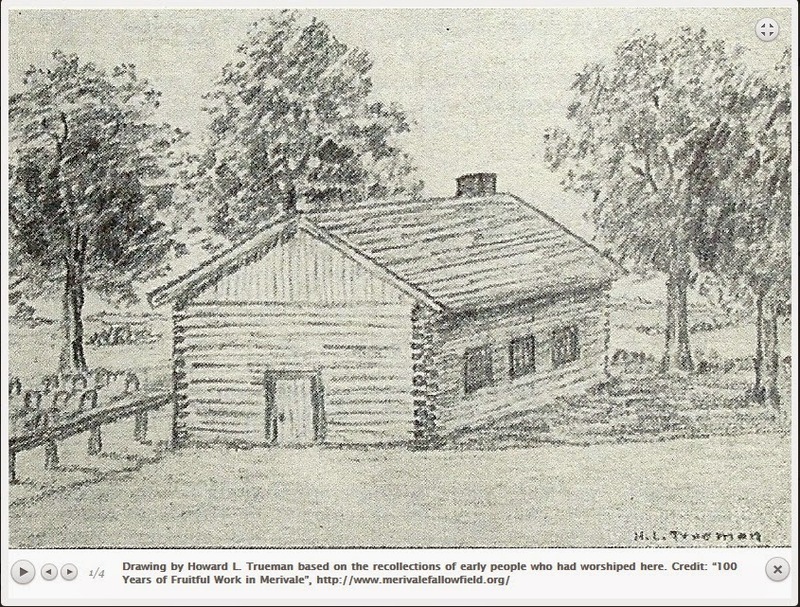 The original Merivale Church was a log building built in 1849 by a Presbyterian congregation and soon it was shared with an Anglican congregation. In 1874 the Anglicans erected their own building, St. John's, immediately south of the log church. St. John's has since moved on but the foundations of the building can still be seen. St. John's Anglican on the left; Merivale United on the right. 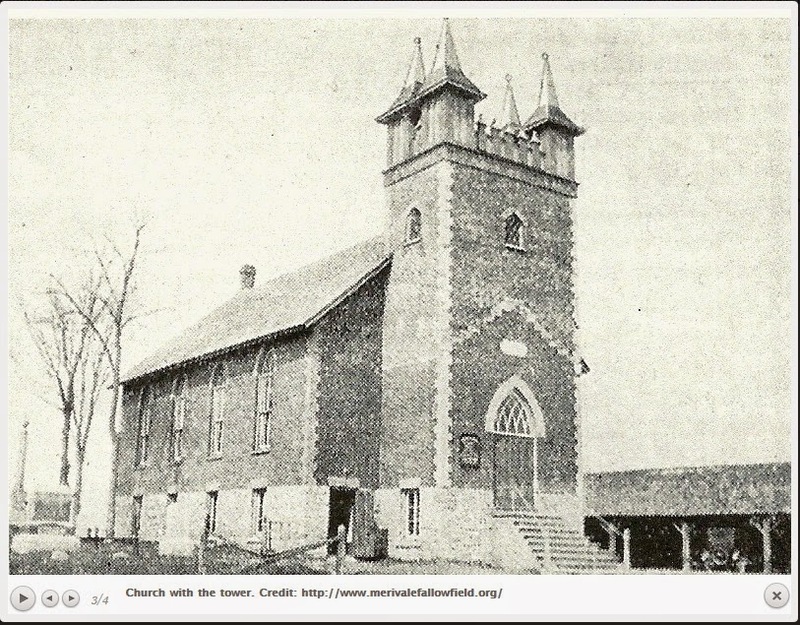 In 1875 the Presbyterians resolved to build a new church, which was dedicated on May 7th, 1876. Originally it did not have the tower it has today. Note the horse shed beside the church. 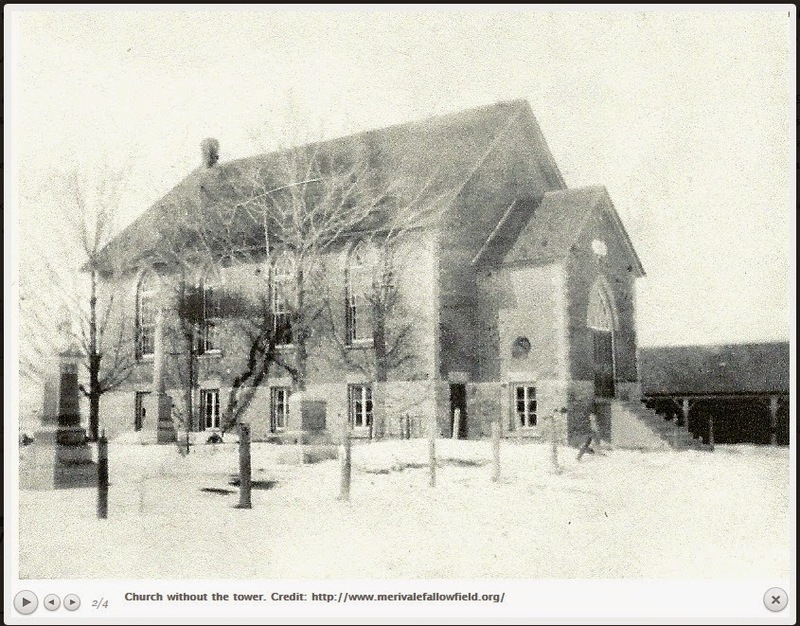 In 1925 City View Methodist Church and Merivale Presbyterian Church united as part of the grand union that formed the United Church of Canada. In 1939 the tower was added. This is what the church looked like when I served the Ottawa Canadian Reformed Church from 1987-1992, although we were not driving Model "T" Fords (see the garage). The front steps led straight out on to Merivale Road. In 1967 the Christian Education building was erected just north of the horse barn / garage, which was torn down. Today we use the "CE Hall" every Sunday for coffee and fellowship, and I use it for my catechism classes. In 1990 a new narthex and sidewalk were added to provide much better access to the building. Today Jubilee Canadian Reformed Church is a small but friendly and growing congregation of about 165 souls which I have been serving again with joy since 2008. Please drop me a line if you would like to know more about us.